Samford University alumnus Clayton McWhorter practiced pharmacy only two years after earning his degree in 1955, but he viewed the experience as a springboard to success. His two years as a hospital pharmacist introduced him to the health-care field, in which he forged a highly successful career. McWhorter, who died Jan. 23 at age 82, supported Samford over the years and made a transforming multimillion-dollar gift for its pharmacy school in 1995. Samford’s board of trustees subsequently renamed the school McWhorter School of Pharmacy. The name honored McWhorter, his brother Fred McWhorter, also a Samford pharmacy graduate, and other family members. McWhorter said he wanted his gift to help make Samford a pacesetter in pharmacy education. “I want to help Samford move to the cutting edge of pharmacy education for the 21st century,” he said at the time. After working as a hospital administrator in three Georgia cities in the 1960s, McWhorter joined Hospital Corporation of America (HCA) in 1970. He rose through the ranks to become HCA president in 1985. He cofounded HealthTrust Inc. in 1987, and served as chairman, president and chief executive officer until HealthTrust merged with Columbia/HCA in 1995. McWhorter was named Samford’s Alumnus of the Year in 1990 and received an honorary Doctor of Commerce degree from the school in 1993. 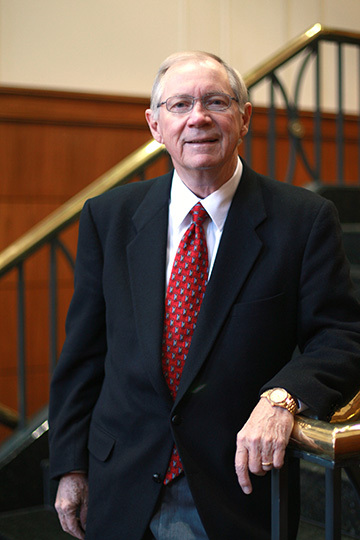 He served as the initial chair of the Samford board of overseers and as a member of the pharmacy school advisory board. A Fellow of the American College of Healthcare Executives, he was formerly president of the Federation of American Health Systems and a member of the board of American Hospital Association. A resident of Nashville, Tennessee, McWhorter hailed from Hamilton County, Tennessee, near Chattanooga.